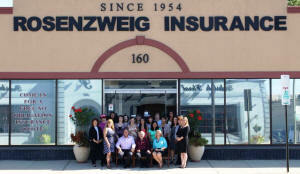 Rosenzweig Insurance Agency, Inc. was established in 1954 by Alex Rosenzweig in Bronx, New York. 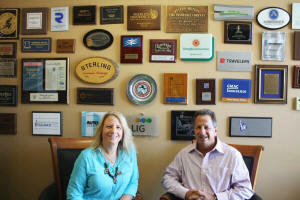 Presently Larry Rosenzweig and Lynn Rosenzweig Derby run the family-owned business which has grown to handle all types of insurance for thousands of satisfied customers. Our large, professional staff includes several licensed brokers and many highly trained customer service representatives who are always available to assist you with any insurance needs. We also have our own bookkeeping and claims department. 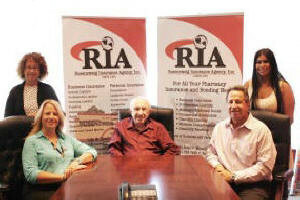 As an Independent Agent, we work to establish a relationship between you, the insurance company, and our agency. We represent a carefully selected group of reputable insurance companies and it is our commitment to provide you with the best company to fulfill your needs at reasonable prices. Our in-house claims department will work with you when you have a loss and follow through to see that you receive fair and prompt payment and service. Disclaimer: No information transmitted via this medium will be deemed to have been received and processed unless you receive written confirmation directly from our agency. We cannot bind coverage or make any changes to existing policies through e-mail or our website. We cannot guarantee the accuracy of any information obtained through our website. We cannot guarantee confidentiality with any information transmitted to us. Not all coverage may be available. Click here to make a payment by credit card or e-check. 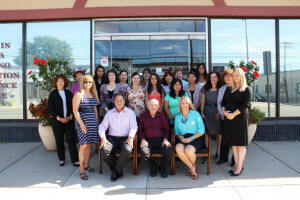 Additional fees apply, which are mandatory processing charges and are not retained by Rosenzweig Insurance Agency. Receipt of payment does not constitute a binder for coverage, nor reinstatement of a cancelled policy. Any returned checks will be considered as never received, and subject to additional charges. We Speak Spanish, Hindi, Urdu, Chinese, Polish, Dutch, Punjabi and Indonesian.